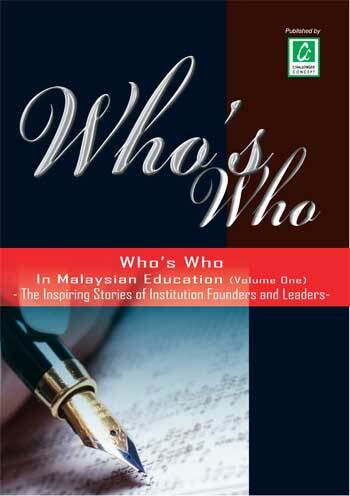 "Who's Who in Malaysian Education" is a book that carries the inspiring life stories of founders and pioneers of private educational institutions; leaders of private institutions such as its CEOs and Principals; and the Vice Chancellors of public universities. Volume One of this book begins with 24 celebrated personalities and readers can look forward to discovering more in subsequent volumes. Their accomplishments and life experiences are a source of motivation for many. Readers will be treated to a collection of colourful stories, with unexpected twists and pleasant surprises along the way. This book also chronicles the development of education in Malaysia through the life stories of these industry's celebrated educators. Who's Who in Malaysian Education (volume one) - The Inspiring Stories of Institution Founders and Leaders is available at all major book stores @ RM28 per copy. Jolly Phonics is a fun and child centred approach to teaching literacy. With actions, songs and stories for each of the 42 sounds, the multi-sensory method is motivating for children and teachers, who can see their students achieve. Complemented by Jolly Readers and Jolly Grammar, it provides a thorough foundation for teaching literacy over three years in school. Jolly Music helps any teacher teach music skills in a fun and effective way! Children's songs and rhymes are the staple diet of the Jolly Music programme. Target Audience:Schools - Pre-school up to Primary level, Teachers, Parents, Literacy Consultants and all those interested. Remark: Each item is also available separately from each of the above complete set of books. Hopscotch was established in 1997 with the aim of producing high quality primary school resources that enable teachers to teach with confidence. Hopscotch understands the difficulty to be an "expert" in every area of the curriculum, which is why our resources are trialled and tested in schools and written by experienced teachers and educational experts. Hopscotch provides a comprehensive range of books and resources designed to teach, engage and stimulate the whole classroom. The children will have fun and success in their learning. Some Hopscotch titles are also suitable for Ages 4-5 and 5-7. Practical Pre-School Books - Books and resources covering all aspects of Early Year Foundation Stage learning. The books division of Practical Pre-School publishes titles covering all aspects of the Early Years Foundation Stage, together with excellent resources on training and professional development specifically designed for the early years practitioners. Practical Pre-School books are designed to be accessible and jargon-free and particularly intended to help early years professionals put the theory into practice. Essential resources for the early years at your fingertips! Helping you do a good job better. Folens books - Primary school curriculum materials and secondary school resources. Belair Books - Early Years and World of Display Series. Folens is one of the foremost publishers of teacher ideas and professional resources as well as primary and secondary schools curriculum resources. Belair publishes an excellent range of publication that is designed specifically for educators, which provides creative and practical 'hand-on' activities suitable for working with children aged 3 to 6 years. Target Audience: Schools - Pre-School up to Secondary Level. Subjects included in the Folens books are English, Science, ICT, Geography, History, PSHE & Citizenship, PE, Health & Social Care, Business Studies, Design & Technology, Psychology, Sociology, Religious Studies. If you do something against the clock, you are rushed and have very little time to do it.